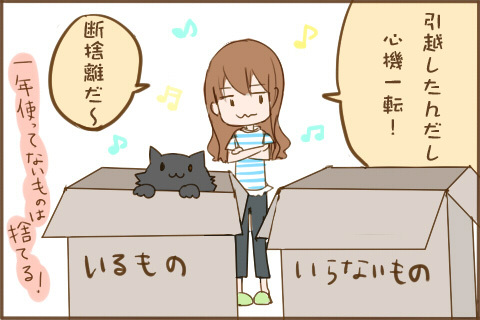 In last week’s column, we talked about how Japan was using manga to educate pop-culture fans about their moving options. This week, we examine how pop-culture is changing the way several banks in Japan – traditionally known to be staid, stuffy, and uninterested in the geek dollar, are selling their credit card and loan products. 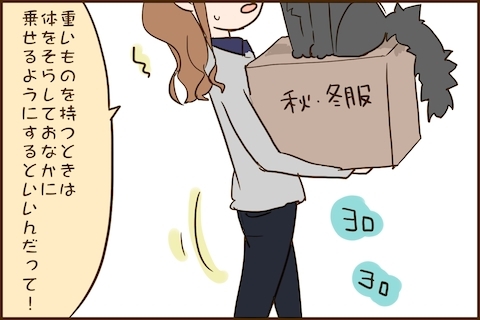 Highschool girls are probably the last thing you’d expect banks to use as their mascots. Known as the Card Loan Girls, these anthropomorphized cards represent products from consumer financial institutions such as Acom, Lake, Aiful, Orix, Mitsui Sumitomo, Mizuho, Mobit, and Promise, and are the latest in a long, long line of anthropomorphized objects to hit Japan. Of course, the casual otaku should be no stranger to such things, what with ship girls a la DMM’s Kantai Collection or sword boys from Touken Ranbu dominating the doujin charts and at the forefront of fan consciousness in the past couple years. 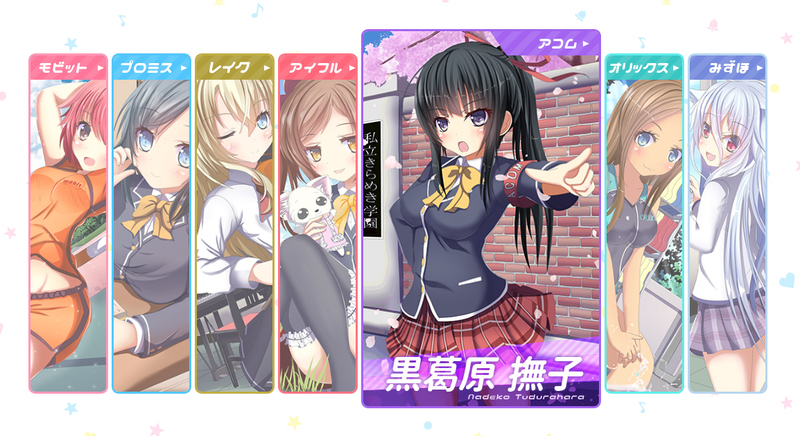 What’s interesting though, is the way the Card Loan Girls site uses quality manga style illustrations and a presentation that’s almost akin to a dating SIM to woo the geeky demographic. Entries even list the character’s height, attributes and favorite activities (which we assume represent a particular lifestyle or hobbies that might align with a particular loan policy). 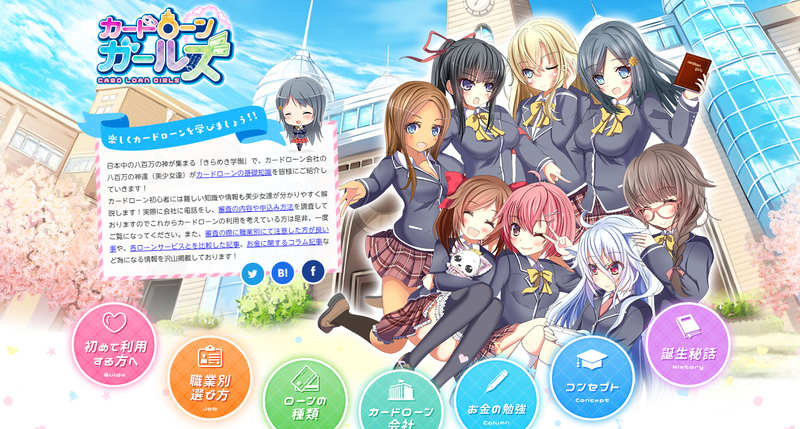 With the website’s presentation, you might think it’s selling a dating SIM. Also represented above: The Lake mascot Rei Midorikawa. Of course, www.cardloan-girls.jp does more than just flash waifu material at you. It aggregates details about the participating bank’s credit cards and loan products such as interest rates, maximum card limits, even participating ATMs and outlets. The site also lays out the pros and cons of each product in a nutshell, happily helping you to make informed choices about the card that’s most right for your lifestyle, income bracket and spending habits. Car, housing, mortgage, even bridal loans are discussed on the site. If there’s anything otakus need, it’s probably financial advice and this campaign might actually be doing a pretty good job at dispensing it. Local banks have already seen the value of tapping on pop-culture. We curated cosplay content and a manga strip for DBS Marina Regatta last year, but we’ve yet to see them embark on something quite as ambitious. Hopefully, with pop-culture emerging as the marketing in-thing, we’ll see more diverse campaigns on the horizon. 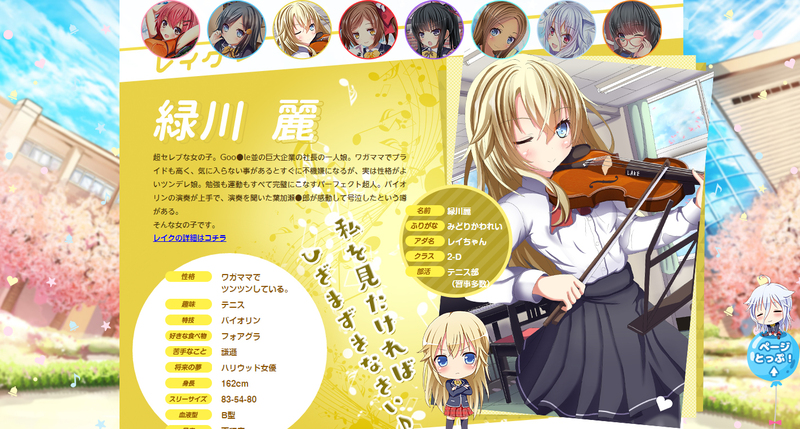 Check out the Card Loan Girls site for yourself at http://cardloan-girls.jp. If you have a lead on a site or campaign that’s a great example of pop-culture marketing, be sure to write us at info[at]neotokyoproject.com to let us know! We’ll be happy to take a look at it, and if it is a great fit for this column, we’d be happy to write about it! Geeks have been identified as one of the biggest spenders globally. They’ve got plenty of disposable income, are incredibly brand loyal when hooked, and as creatures of the Internet, are excellent mouthpieces for your products if you hit all the right notes. This has led companies to devise new strategies for engaging with a geek audience – strategies that we define as pop-culture marketing. Such creative campaigns can run the gamut (we’re no strangers to such strategies ourselves), using imaginative ways to spread key marketing messages like animation, comics, cosplay, geeky displays and even memes. Of course, such ideas aren’t something any advertising suit can come up with. 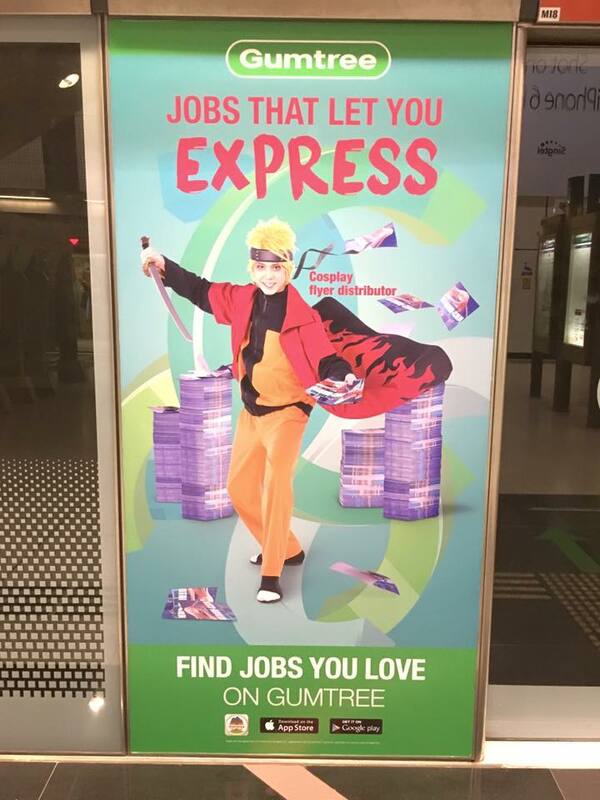 Case in point being Gumtree’s campaign depicting Cosplay Flyer Distributors that gave the local cosplay community a good laugh with its treatment and botched aesthetics. Also, a casual search on Gumtree will reveal that Cosplay Flyer Distributor is a job that pays abysmally (only $6 to $12 an hour). That’s nowhere near the market rate for costumed appearances (which is typically $30 or more per hour) that cosplayers are generally familiar with. Of course, that’s not to say that companies can’t come up with great ideas and great campaigns. In fact, we were tipped-off about one from Japan just last month called Hikkoshi More. 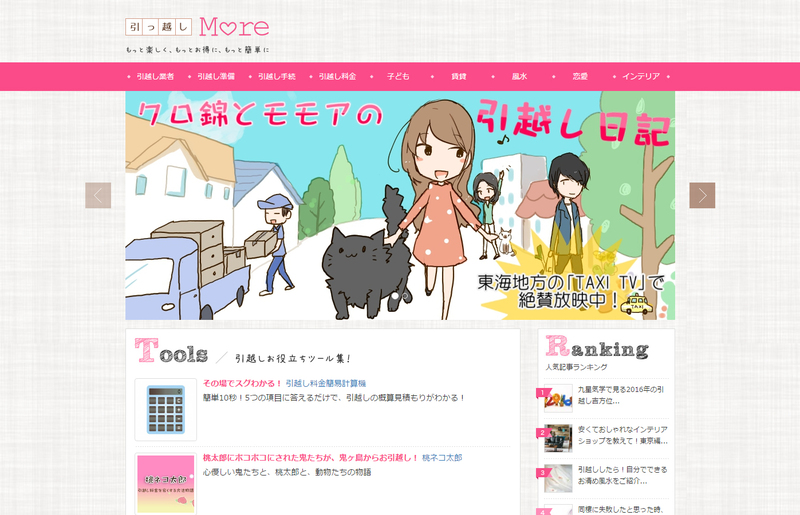 The Hikkoshi More website is presented in a colorful and charming manner. Hikkoshi More is a site for information on moving services, targeted at young professionals and new families (moving from town to town for school or work is fairly common in Japan). It includes tips for first-timers, articles about how to cope with and smooth over the process of moving to a new town, and even sections on feng shui and interior decor. 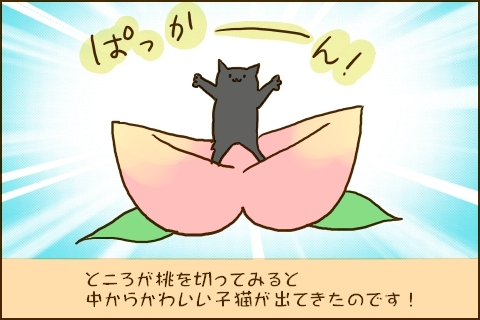 Helping to present this information in convenient, bite-sized bits is the page mascot Kuronishiki, a black cat, and his master Momoa (an aspiring artist). 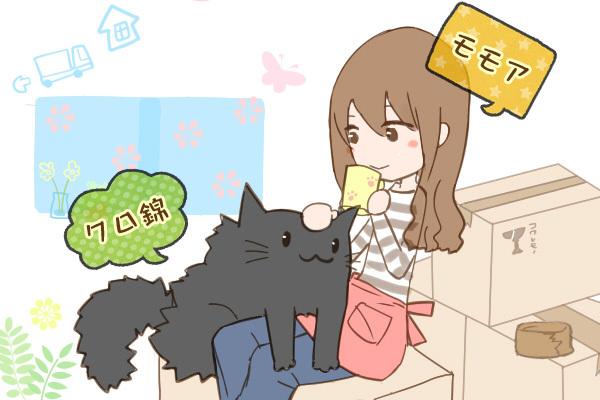 Their adventures are serialized in a series of Cat Diary strips, which serve as anecdotes for handy advice such as techniques for packing, lifting bulky items, and even making new cat friends in an unfamiliar place. It’s impressive to see how a change in stylistics and treatment can turn an otherwise dry and boring topic like moving into something informative, without losing its essence. While this campaign has found success in Japan because manga is so intrinsic to the country’s culture, the use of such techniques to sell a service or key marketing message might not be that much of a stretch for international brands either. We’ll be examining more such examples in the weeks to come, so do check back with us. Check out the Hikkoshi More site for yourself at http://more-hikkoshi.com. Uncanny X-Men art, used with permission. Don’t know ’bout you guys, but I’ve been a big fan of Joe Madureira’s work since I first got my hands on Battle Chasers in 1998. That’s why the fact that Joe’s coming to Singapore for Singapore Toy, Game and Comic Convention (STGCC) this year’s really big. Joe’s a renowned Marvel Comics book writer/artist who’s worked on Marvel Comics’ Uncanny X-Men, and was also involved in the creative team for Darksiders (yes, Darksiders). From what we know, Joe will be here for the first time at STGCC, and will be joining the Walk of Fame to get up-close and personal with his fans. He will be bringing along some surprises as well, exclusively for fans only. The event’s less than two months away! Be sure to check out the official STGCC website and Facebook page for more information. Singapore’s inaugural Manga Festival took place over the weekend, with a series of activities that catered to the otaku palate. Organized by key Japanese publishers, the Japanese Ministry of Economy, Trade and Industry, and partners including Kinokuniya bookstore, Manga Festival saw both an exhibition of manga titles and artwork at The Arts House, as well as signings by established mangaka such as Yaro Abe (Shinya Shokudo), Masayuki Ishikawa (Moyasimon/Tales of Agriculture) and Mine Yoshizaki (Keroro Gunso). Crypton Future Media, Inc’s president Hiroyuki Itoh (Crypton’s the company responsible for VOCALOIDs) and THE Danny Choo were also present for a meet-and-greet and sharing session (which later included dinner with the fans at a nearby food court). Admittedly, we found the manga exhibition kinda small. While the shelves were stocked with selected manga titles and merchandise, VOCALOID art, and there were PS Vitas and iPads around for browsing digitized manga, we’d hoped for more content. No doubt, if the exhibition included original cover sketches, manga panels, story boards and maybe information about the publishing process in Japan, it might have made for a more wholistic activity. We did enjoy ourselves though, and we’d definitely love to see this event happening in Singapore again. We're going to London MCM Expo! 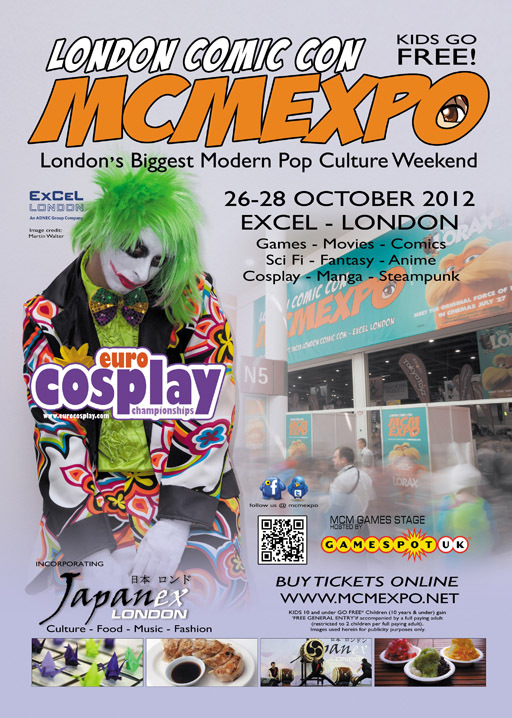 London MCM Expo 2012 – Poster Art. Well, not Crimson & Angelus per se, but we’ve managed to get some media passes for this awesome overseas con, and that means plenty of snaps and geeky coverage on the ground! If you haven’t heard of London MCM Expo before, it’s only the biggest comic con in Merry ol’ England, and you can be sure there’ll be plenty to see and do at the con. The ‘correspondents’ we press-ganged into going are super excited. There are film & TV personalities galore, tons of anime, manga and video games exhibitors, and a pretty decent stage line-up to boot, and you can be sure we’ll be getting some pictures and maybe footage from the Euro Cosplay Championships too. 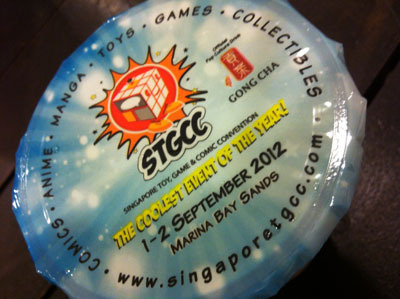 We’re back again with another Singapore Toy, Games & Comic Convention (STGCC) Roundup! It’s less than a month till the big day, so just like last year, we’re giving you more reasons why you should be popping down to the con! Are you ready? Here we go! Cosplay friends rejoice, because COSMODE’s back this year and Jacky-san (we interviewed this cool cat last year), as well as his team, will be on the prowl for peeps to be featured in their publication. If you missed your chance last year (there were two full page spreads), be sure to keep an eye out for him. 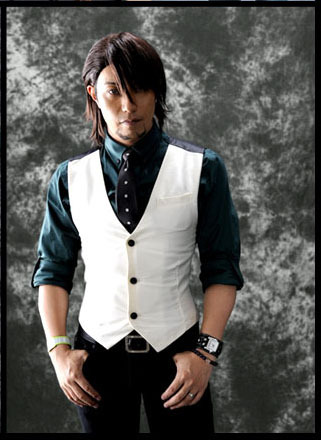 We suspect he might be donning Kotetsu-san’s (from Tiger & Bunny) trademark cap and vest this year, but who’s to say, hmm? We caught up with Kipi at STGCC last year, but this year, you can expect twice the fun! Both Touya Hibiki and Kousaka Yun are household names in Japan, and we talked a little bit about how awesome they are in a previous post. If you’re a fan of their work, make sure you don’t give the convention a miss! If you’ve already registered, keep your fingers crossed, because the organizers will be announcing the results by Monday, 20 August! A cool night at the con’s always better with music, and this year’s no different. 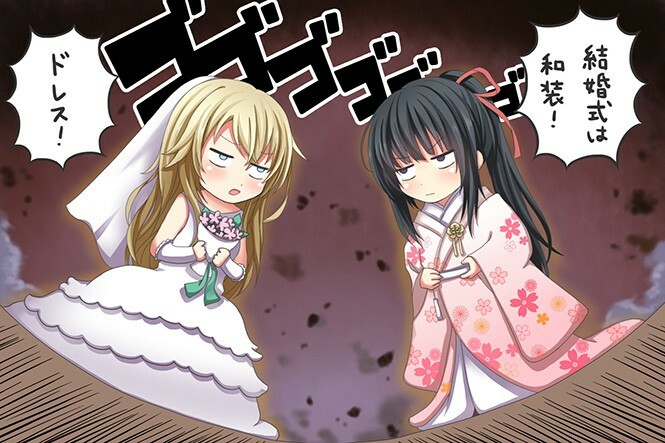 Except, you know, this year’s gonna see a spin-off between two of Japan’s hottest EDM masters. 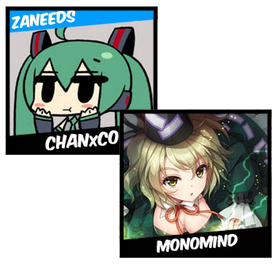 DJ Zanio of ZANEEDS and DJ haLRu of MONOMIND will be playing tunes from Vocaloid and Touhou, and they’ll be battling it out on stage to prove which fandom’s stronger. It’s a musical showdown the likes of which you’ve never seen before! Andy’s one of UK’s leading comic heavyweights, with DC comics titles like Batman, Swamp Thing and Hellblazer under his belt. Fans might also remember him as the creator of The Losers, a comic book that managed to make the big screen in 2010. He’s also worked with another one of this years’ guests, Leinil Yu, on the sci-fi thriller Silent Dragon, and this prolific wordsmith’s also churned out titles with DC, Dynamite and Image. If you’re a Doctor Who fan, you’ll also be pleased to know he’s putting out comics based on our favorite Time Lord with IDW! Hot Toys will be making their presence felt at STGCC this year, and in a big way. In addition to a visit by J.C. Hong, the Production Director and Chief Painter of Hot Toys and his fellows K.A. Kim, Kojun and Yuli, you can also expect exclusive Hot Toys products like Captain America from the Cap A movie, Lt. Jim Gordon from The Dark Knight, and Angelica from Pirates of the Caribbean. There’s also a pre-sale roadshow, so if you’re big on Hot Toys, here’s how you can check these out. If you’re a regular Nico Nico Douga channel surfer, then you’ll know who Piko is. The androgynous prodigy shot to fame in 2007 when his video went viral on the live streaming site, and since then he’s amassed a sizeable following and millions of hits, making him one of the Internet’s biggest singing sensations. 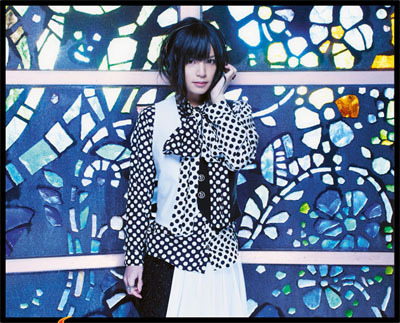 His latest single “MakeMyDay” features as the OP for anime series Binbougami ga!, and you can be sure he’ll be a definite hit at the con! Our friends from Invasion! Toys & Collectibles are also hosting a plethora of Marvel illustrators, including the very amazing Mark Brooks, who’s worked on Wolverine, X-Men Legacy and more. Other names on the list also include TMNT illustrator Mark Torres, Mico Suayan and Stephen Segovia. Comic fans sure have plenty to look forward to this con! Our friends from Harris PLANERDS are back at STGCC this year, and that’s just scratching the surface of all the exhibitors and creators who will be at STGCC this year. The list also includes the good folks from Collateral Damage Studios, who will be retailing their Superscenic 2 artbook at the con (they’re an exhibitor at ICDS 2012 too! ), Imaginary Friends Studios, and other staples. Nothing beats a cool drink in sweltering Singapore. Meet the Official Drink of STGCC, a fizzy concoction of Calpis, Lemon Juice and K Jelly enhanced with lemon rind. The drink also comes in other flavors, if lemon’s not your cup of tea. 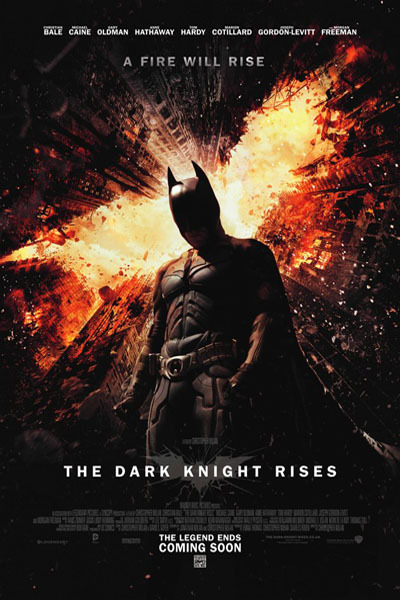 The Dark Knight Rises – Poster Art. The Dark Knight Rises is Christopher Nolans third installment in his re-imagining of the Batman franchise, and thanks to Domino’s Pizza and omy.sg, I got a taste of Gotham (and Domino’s awesome pizza selection) at a special screening held just for bloggers last Friday. Set 8 years after the events of The Dark Knight. Gotham City’s become a crime free city with the Dent Act, and Bruce Wayne, in quiet self-imposed exile. That is, until his isolation is intruded by a mysterious cat-burglar who piques his curiosity. But this catty lass is just the tip of the proverbial iceberg, and soon enough, Batman’s forced to fight to keep the city he loves and protects safe once again. Christian Bale returns as Batman, Gary Oldman as commissioner Gordon and Michael Caine as Batman’s best man Alfred. Tom Hardy is stellar in his role as the villain Bane. He’s a completely different kind of villain, as compared to Heath Ledger’s Joker in The Dark Knight. He’s menacing and intimidating, and his performance paints him as the perfect terrorist dictator of a Gotham that’s gone to the pits. Similarly, Anne Hathaway was immaculate as the voluptuous Selina Kyle a.k.a. Catwoman, and Joseph Gordon-Levitt’s portrayal of fresh, hot-headed young cop Blake was believable, but only so-so. I have to admit that The Dark Knight Rises makes it onto my list of must watch Superhero movies for 2012. It’s only drawback is it’s over reliance on pre-established events from its prequels (then again, this IS a trilogy we’re talking about). Batman virgins might be left painfully lost on the streets of Gotham if they jump straight into The Dark Knight Rises, but that’s more incentive for them to catch up on the last two films too, no? In conjunction with the theatrical release of The Dark Knight Rises, Domino’s Pizza will be giving away a Free Limited Edition The Dark Knight Rises glass with every The Dark Knight Rises meal purchase. Check out www.dominos.com.sg for more information. Don’t forget also to like their Facebook page for the latest promotions and offers from this great pizza joint! It’s time for Free Comic Book Day (FCBD) again, and this year, we’ve got not one, not two, but five players in the market itching to give you, my geeky friends, loads and loads of freebies. So what’s the game plan, and where should you head to get your comic fix Saturday? For a start, there’s always GnB, an FCBD staple. They’ve got Ardian Syaf and Nicole Scott, both amazing, amazing DC artists in store for FCBD, where they’ll be meeting the fans and doing signings. Not to be outdone is Invasion! Toys & Collectibles at Funan DigitaLife Mall. The store’s signed on local illustrator Shawn Yap (13wishes) for the event for prints and commissions. 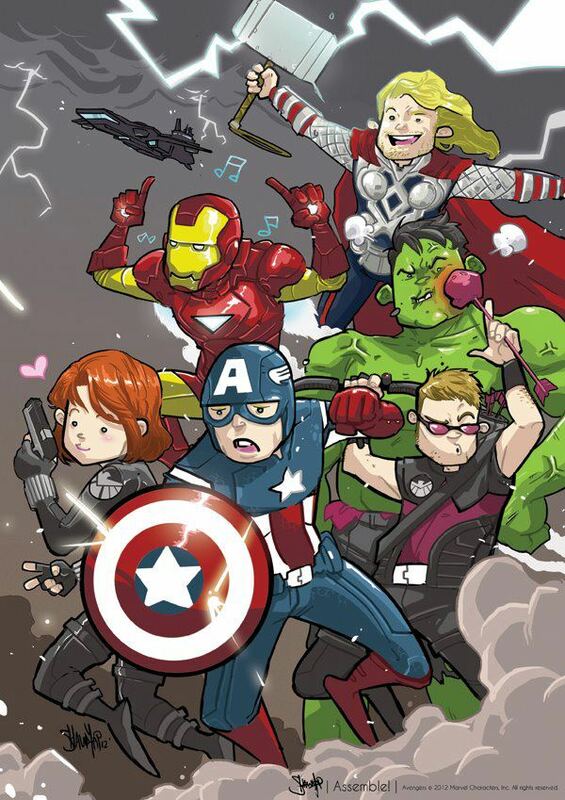 Check out Shawn's take on The Avengers! Shawn’s a cool dude who’s published his own work – the noir detective story “Jack Doe: Anonymous” in 2009, a 2nd book titled “Closets”, and is looking to put out his third – “Letters”, this year. He’s also worked on both video and tabletop games, and is looking to release his first card game soon. Our friends from Harris Planerds have also announced that they’re doing FCBD in a big way. In addition to their anniversary sale, where you can get a whopping 60% discount from now till 20 May, Wendy Chew, better known by her online handle Mashi, as well as Rudy Ao, will be doing sketches at Planerds from 12 pm to 6 pm. Walk-ins will also get grab bags with three free comics, while Planerds members will get a whopping twelve titles. How cool is that? If you’re big on retail stores, and are in the vicinity of Books Kinokuniya, you can also check out their members only special for FCBD. 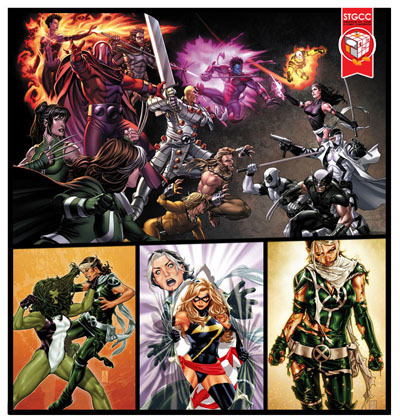 On top of a 20% discount on comics for members, members are also eligible to pick up a free comic book bundle. And finally, surprise, surprise. Our friends at Paradigm Infinitum are jumping into the comics and graphic novel market this FCBD. To celebrate the opening of their graphic novels section, they’re giving away comic books absolutely free. Yes, rather than just giving away FCBD goodies, they’re throwing in up to ten actual comic books from yesteryear. Can I say WOW!, or what? Yep, this year’s FCBD is looking like a regular treasure haul. So it’s time to prep those bags of holding and bottomless sacks, folks. We’ll see you at FCBD! International Cosplay Day Singapore (ICDS) is less than four months away, and as we promised in a previous post, here’s everything you need to know about this year’s festivities! 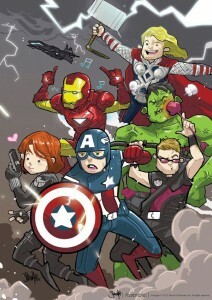 ICDS 2012 celebrates “Cosplay & Pop-Culture Diversity”. It’s an all-inclusive convention that transcends barriers by immersing convention goers in an eclectic fusion of Eastern and Western pop-culture elements. Tickets: $5 (available from July 2012 via www.gatecrash.com.sg, various event partners, and at the door). This year’s special guests include U.S. based cosplayers Ms. Yaya Han & Ms. Jerry Polence, who will be visiting Singapore for the very first time, Mr Jay Tablante from the Philippines, and the cast and crew of COSPLAY: The Series from Indonesia. Ms. Yaya Han is a household name in the global cosplay scene. She has more than a decade of experience as a cosplayer, and her costumes have won awards and acclaim throughout the U.S. She has been invited to appear as a Guest, Panelist, Judge, Performer and Host to over 100 conventions and other events all over the world. Similarly, Ms. Jerry Polence is a U.S. based Filipina cosplayer, model, and blogger with an impressive international following. She has been in the cosplay scene since 2004, and has been featured extensively in various media. Known in pop-culture circles as “The Geek with the Camera”, internationally acclaimed cosplay photographer Mr.Jay Tablante has collaborated with D.C. and Marvel to produce some of the most iconic and daring images in comic book cosplay of all time. The cast and crew of COSPLAY: The Series will also be at ICDS, where they will be filming COSPLAY: The Series Singapore Special. 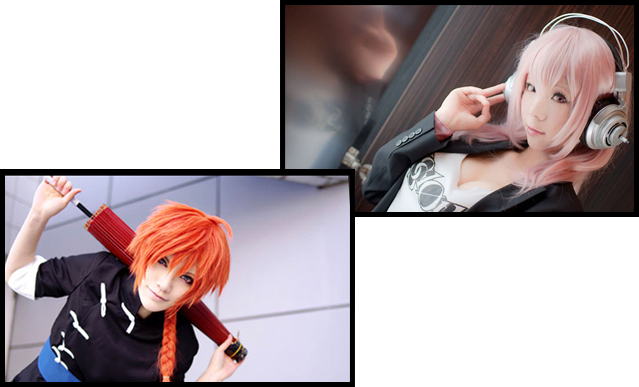 They will also be performing at the event, and opening Singapore’s 2nd Annual Cosplay Chess. COSPLAY: The Series started as a web series in 2011 and has since grown into a content and performance franchise. The team behind it calls themselves the Q-Cosushinkai Project, a congregation of unique and talented cosplayers, performers, musicians, artists, writers, designers, and filmmakers. COSPLAY: The Series has since signed on to a professional artist management contract with PT NAGARAJA FMFE NUSANTARA to boost its professionalism in delivering the best possible content to its fans. Cosplayers of both Eastern and Western pop-culture titles are invited to join the Cosplay Competition at ICDS. Registration for the Cosplay Competition is open from now till 30th July 2012, and contestants stand to win cash prizes sponsored by our partners Anibee and Paradigm Infinitum. You can view the full details of the competition here. You could also strut your stuff on stage in our Cosplay Catwalk. Check out how you can dazzle the stage here. Adding to the carnival-like atmosphere is the Artists’ Alley, myriad Dealers and Sponsor Booths. Ms. Yaya Han and Mr. Jay Tablante will be holding signings at their booths at selected time slots, and fans can partake of a wide variety of pop-culture products. This year’s theme for Cosplay Chess is East & West, pitting characters from popular Japanese animation, games and manga against their counterparts from American comic books, games, movies and novels. Some popular characters that will take to the stage this year include King Tryndamere from League of Legends, Sara Pezzini from Witchblade, Big Sister from Bioshock 2, Joker from The Batman, Gilgamesh and Saber from the Fate series, Vergil from Devil May Cry, and Sol Badguy from Guilty Gear. With an early start this year, as well as better logistics support thanks to Ngee Ann Polytechnic and our sponsors, we expect higher production value, and greater quality overall. We’re really excited about ICDS, and we hope you are too! Don’t forget to keep tabs on our site and Facebook page for more exciting updates and details in the weeks to come! Here’s to seeing you folks at the con! Announcing International Cosplay Day Singapore! The Neo Tokyo Project is proud to be the organizers of International Cosplay Day Singapore (ICDS), in conjunction with Cosplay Chess 2012! Supported by Ngee Ann Polytechnic’s School of Film and Media Studies, partners and stake-holders in the local pop-culture scene, this celebration of cosplay and pop-culture will take place at Ngee Ann Polytechnic Convention Center on 26 August this year. In addition to an artist’s alley, a cosplay competition, a cosplay runway where you can strut your stuff and Singapore’s second annual Cosplay Chess, we’ll also be featuring guest stars from internationally acclaimed web TV drama Cosplay: The Series, who will be filming two exclusive episodes of the hit show at our con! Don’t forget to check back with us for more updates and details, and be sure to look out for our official press release after May 1st!